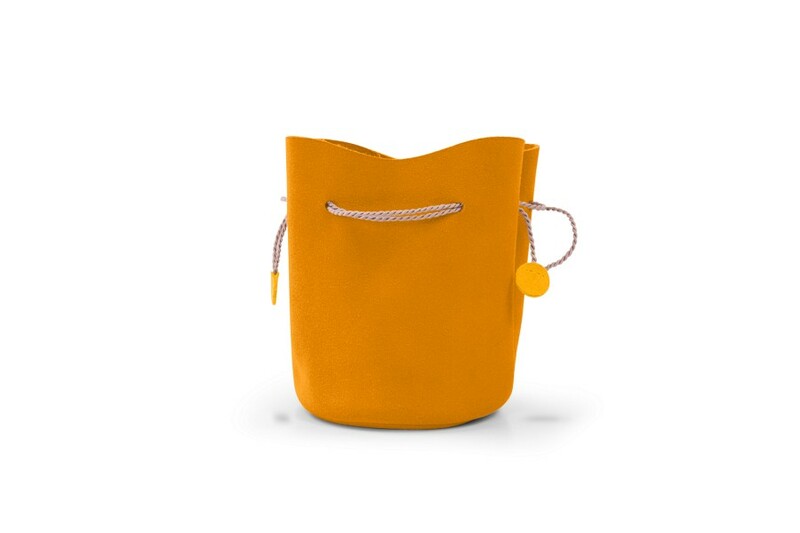 This is the large drawstring pouch in leather, perfect to fit in your watch, necklace and other jewellery. This large bucket purse is made in suede calf leather and is ideal when you are travelling as it can contain your valuables that you can then slip in your travel bag. The Lucrin leather bucket pouch or aumoniere is a perfect gift idea too as you can choose a beautiful engraving option. 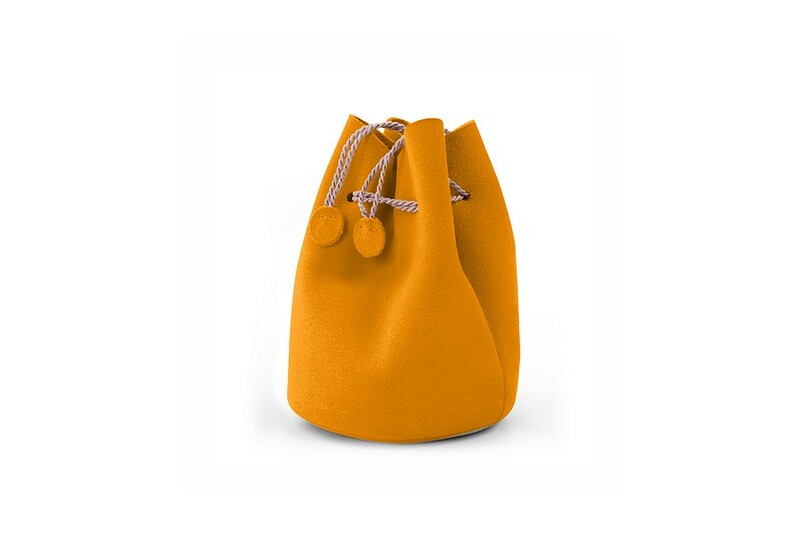 There is a beautiful choice of colours for this small drawstring bag but its cord is of beige colour only.